In light of the Strange Fire Conference, we just completed our mini series focused on the problem of Charismatic excess/Prosperity Gospel influence in Asia. The following are the links not only from the past two weeks but also over the years on Veritas Domain. Lord willing, if we were to write more on this topic we will put the links on here as well. Why will we focus our apologetics on Prosperity Gospel/Charistmatic Excess? Sun Ho the Pastor’s Wife or the Pastor’s Ho? Kong Hee: Jesus was not Poor…but does that mean He was rich? 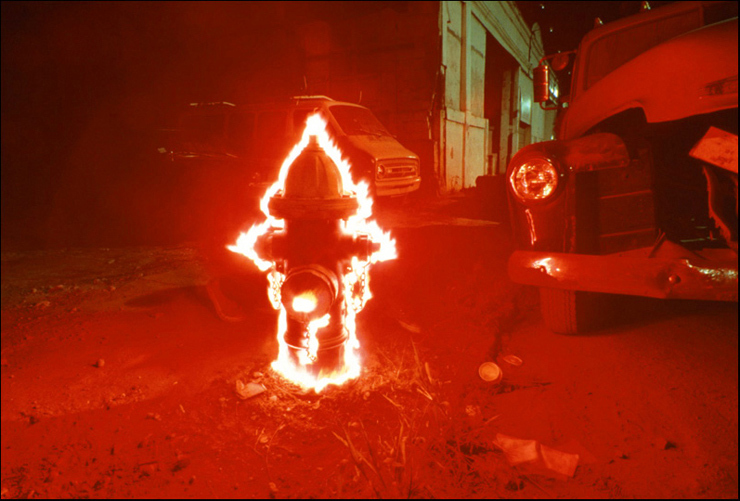 Jaeson Ma: False Prophet about Los Angeles 2006? Jaeson Ma’s New Song “Rise and Fall” is heretical NEW! Was it right to associate Jaeson Ma with Pelagianism? NEW! “Pastor” David Yonggi Cho Guitly, another case of Strange Fire in Asia NEW! Aftermath of Strange Fire NEW! Review of Strange Fire: The Danger of Offending the Holy Spirit with Counterfeit Worship by John MacArthur NEW! We continue with our closer look at Joseph Prince’s arguments for his position that every Christians should speak in tongues. 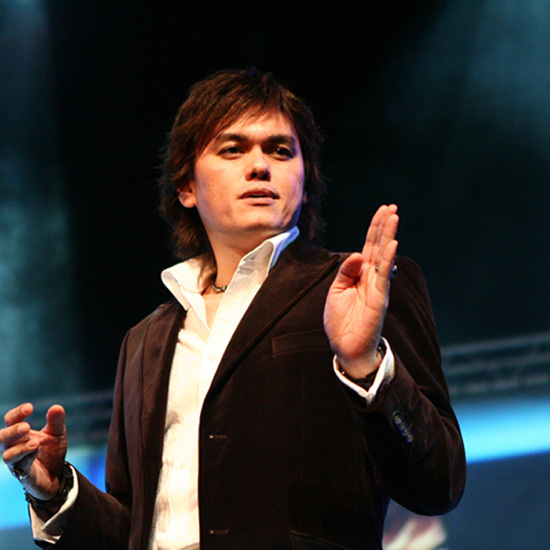 For those who may not know, Joseph Prince is a Pentecostal preacher from Singapore, who’s popularity is felt not only in Asia but even here in the United States. 1.) Prince makes much out of the point that its to “disciples” (verse 1) that Paul asked his question “Did you receive the Holy Spirit when you believed?” (verse 2). Specifically though, these disciples were those of John the Baptist since they didn’t know about the Holy Spirit (verse 2) and only knew about John’s baptism (verse 3). This observation should make us cautious in assuming these are regular New Testament Church era Christians. 2.) In light of the fact that they were John’s disciples who only knew up to the baptism of repentance and never even heard about the Holy Spirit, one must be sensitive to progressive revelation and how redemptive history unfolds. This particular episode is unique in that as the church began and started from Acts 2 onward, there were a number of believers who were disciples before hearing about the Holy Spirit such as John’s Disciples. Yet by God’s providence the Lord brought those like the Apostle Paul to fill them in about the Spirit. We expect that as the book of Acts progress, with the church growing more and more, that the number of such disciples of John who didn’t know about the Spirit would decrease. When we fast forward to today, there are not John’s disciples who haven’t heard of the Holy Spirit. Thus, if one is sensitive to the context, Acts 19 is not a text to justify asking other Christians whether they have the Holy Spirit and implying that they should speak in tongues. Don’t forget also how earlier in part two we established the biblical truth that baptism of the Holy Spirit is not the same thing as speaking in tongues, since one can be baptized by the Holy Spirit without speaking in tongues. I must say I was skeptical of this book before reading it since I am biased against the author. My reading of Dinesh D’Souza in the past has been rather disappointing. But this is probably his better work and he did a good job enough that I’m thinking about reading his follow up work on Obama. D’Souza is a better author on politics than he is on Christianity (the subject of the first two books I read by him). Here in this book D’Souza presents the biography of president Obama and argues that Obama’s public policy is best understood in light of the narrative of Obama’s upbringing. D’Souza argues that it’s not so much the narrative of Obama as the African American that is the predominate theme explaining Obama’s presidency but Obama the child who grew up in the third world and lived in the imagination of his father’s home country of Kenya. Typically I’m cautious with psycho-assertions of why people do what they do but I think this book does make the case powerfully that Obama’s radical upbringing by his mom to be like his dad and his experiences in Indonesia living with his mom that shaped him to become the man who’s ideology is to bring equality between the US and other third world nations. The strength of D’Souza’s argument to me is his analysis of Obama’s book on his father written before he publicly campaigned for president. It’s amazing to think of how Obama barely knew his father growing up but sees him almost as a god. It was quite sad reading this book to imagine the young Obama who looks up and idealized the father he never really knew. It’s no secret to those who follow Obama today that Obama’s father was far from a saint, a radical ideologue who was a dead beat husband, a drunkard who fathered many children with multiple women through affairs. Obama’s infatuation of seeking his father’s approval at times from Obama’s own word seems almost religious, with even the motif of crisis of faith and renewal. D’Souza book is captivating and made me want to learn more about Obama—not just policy but who this man who keeps much to himself is and his worldview. Earlier I wrote a post identifying the fruits of Prosperity Gospel and extreme Charistmatics preachers and how it reveals their functional idol. Among the “fruits” mentioned is an infatuation of trying to enter the entertainment industry. I think the preachers in the reality show, “Preachers of LA,” is an example of my thesis and another case study is the anti-nominian, false prophet and Pastor Jaeson Ma. Although Jaeson Ma retains the title “Pastor” (see this video of him in Malaysia), he has been spending most of his time being a musical artist. And for Jaeson Ma that means hanging out with artists, music industry reps and insiders. Of course, there is nothing wrong in of itself reaching out to people who are lost and being their companions so long as one doesn’t compromise their belief and behavior before the Lord. Has Jaeson Ma been above reproach? Here I am not merely trying to catch him on a “slip-up,” a moment of weakness when he fails to be consistent to the standard he holds to; rather, I’m trying to ask a more foundational question, of whether it is biblical with his particular approach in associating with those in the Asian entertainment industry? I’m more concern about the method driving him than an inconsistency to one’s method since after all, we are all prone to sin and deviate from our professed standard. Note how Jaeson Ma describe this group as following God, having faith, being a light and them taking risk for Him in their musical career. Those guys have such amazing music n talent, its crazy. They are humble brothers, though not to hate just being honest, their album Awakening is amazing, but Godly isnt on the menu, especially one of the songs talking about taking some other guys girl and clubbing. One can find online and read Aziatix lyrics and it seems that Jaeson’s fan had this particular song in mind. Michael what you need to understand is that music is a gift from God that expresses emotion, experience and personal truth for each artist. A song can talk about God explicitly or not explicitly. I personally don’t believe music should be categorized as Christian or not, what matters is that the music is good, is true to ones experience and honest. Sadly most so called Christian music is not honest or authentic, rather it is predictable and created in a certain way to fit a specific religious expectation. Study the gospels and you will see that when Jesus spoke to the masses He didn’t use religious jargon or language, but He spoke in parables with culturally relevant stories that the everyday person could relate with. When Jesus spoke to His disciples He spoke plainly about kingdom truths. there is music inspired by God for the world and there is also music inspired by God for the church, neither one is more acceptable than another. What God loves is that we use our musical talents by, through and for Him, Aziatix is doing just that and before casting a stone of judgment you should spend more time praying for them then judging them or any musician because you don’t know where they are coming from. I really do pray that people who follow Christ would follow His example of loving and appreciating each person human experience, for the only judgment Jesus made was against the religious who saw themselves as better and holier than others. 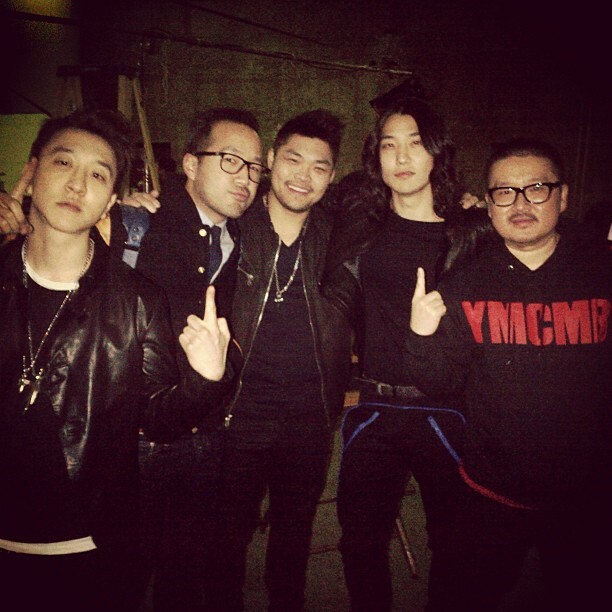 With that being said, Aziatix all day and much respect to my man Jae Chong and the whole crew! God bless & God is love! What are we to make of his comment? Point 1: Note how Jaeson Ma comment doesn’t address his fan’s chief concern at all, that Aziatix’ musical content isn’t godly with the specific example of girls and clubbing. Ma doesn’t even acknowledge his fan’s concern but goes off in a different direction. He is committing the logical fallacy of red-herring. Point 2: Jaeson said, “A song can talk about God explicitly or not explicitly.” It seems reasonable that not every song has to be about God explicitly. Moreover, if every song was about God explicitly there’s nothing wrong with it. But what if the band’s entire musical career has never explicitly shared about Jesus and the Gospel at all? How could Jaeson describe them as taking risks and who “shine light in the darkness”? Point 3: Jaeson said: ” I personally don’t believe music should be categorized as Christian or not, what matters is that the music is good, is true to ones experience and honest.” Note here that what matters for Jaeson is not the category of Christian and non-Christian but whether it’s “true to ones experiences and honest.” But how do we know if that person’s experience was honest? Or is really true? Here it is important to see that there is a need for a Christian worldview to be worked out and applied to the area of music–and that in order to even talk about “honest” music even require things that ultimately can only make sense in a Christian worldview. Point 4: Jaeson points out how “Sadly most so called Christian music is not honest or authentic, rather it is predictable and created in a certain way to fit a specific religious expectation.” I’ll grant that, but what does this “wrong” have to do Aziatix’s worldliness in their music? We must also remember that two “wrongs” don’t make a right. Point 5: Jaeson Ma asserts that “Jesus spoke to the masses He didn’t use religious jargon or language,” which is quite unbiblical if one were to realize Jesus’ claim to being the Messiah involve Messianic titles there were explicitly religious and Scriptural (Old Testament) in nature! One must understand that titles such as “Christ,” “Son of Man,” “Son of God” is rooted in the Old Testament! Point 6: Jaeson also present a false dilemma between using “religious jargon or language” and speaking in ways “that the everyday person could relate with. ” The two are not mutually exclusive! Point 7: Jaeson is begging the question when he asserts “What God loves is that we use our musical talents by, through and for Him, Aziatix is doing just that…” One can’t really make a song for Him that glorifies Him if one goes about it in a worldy way or end up glorifying the lust of the eyes, and the love for this World. Point 8: Jaeson use a popular line used by those who engage in verse abuse: “and before casting a stone of judgment you should spend more time praying for them then judging them or any musician because you don’t know where they are coming from.” In essence, “Don’t judge,” says Jaeson Ma, who a few lines ago was the same one who said “most so called Christian music is not honest or authentic..[and] fit a specific religious expectation.” If one looks at the context of Matthew 7 where the verse of not judging comes from, one will realize it’s against hypocritical judgement. Jesus points out the irony of someone with a larger serious problem pointing out someone’s lesser problem in Matthew 7:3. I submit such is the case with Jaeson Ma: When a fan points out the problem of his “spiritual” promotion of a band that’s worldly, he goes ahead and points out the speck that’s in the musical “authenticity” of Christian music. He needs to remove his log out of his own eye! Point 9: Again the irony: “for the only judgment Jesus made was against the religious who saw themselves as better and holier than others.” Isn’t this truly the case that when a fan points out the issue of holiness and godliness, Jaeson Ma then proceed to make himself better and holier than his fan’s biblical conviction of being holy (set apart)? 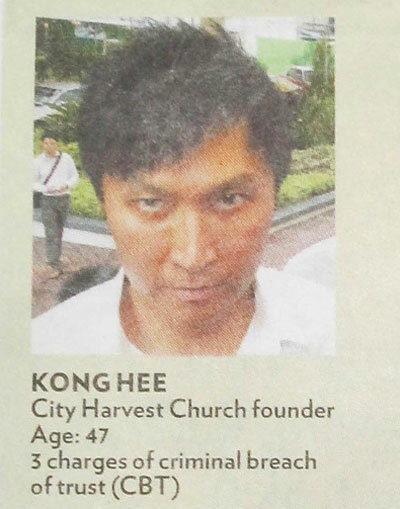 This Youtube clip of Kong Hee, the founder of City Harvest Church is going around the internet. This is a great book that contributes to the discussion of the relationship of the Ancient Near East (ANE) to the Old Testament. Have you ever heard people assert that the Old Testament is merely plagiarism of ancient pagan religion or that the authors of Scripture indiscriminately borrowed from the heathens? Is the Old Testament compromised syncretism or simply a literary copy cat of another religion’s myth? This book helps the Christian navigate through such questions and challenges. For starters who might need to be caught up to speed, chapter one gives a nice survey of the history of the study of the Ancient Near East painting a portrait of how these studies originated and its trajectory since. While the author acknowledges in the introduction and conclusion that the discussion of how ANE relate to the OT can be quite complex, he advances what he calls “polemical theology,” as a paradigm that help make sense of OT and ANE religious parallels. “Polemical theology” basically describes a conscious ploy by Biblical writers to use the thought forms and stories from cultures of the Ancient Near East in order to apply it to Yahweh exclusively while often using the same motifs in an ironic fashion against the polytheistic gods and goddesses it originated from. After delineating what polemical theology means in chapter two, the bulk of this book is an examination of the data from ANE sources and the application of Polemical theology. Here the author John Currid brings his scholarship and knowledge of the ANE record to bear. For instance, chapter three concentrate on Genesis 1. In light of how some have attacked the Genesis’ creation account for “borrowing” from other mythologies, Currid demonstrates how the Creation account essentially is antithetical to the creation account of the Egyptians and other Ancient Near East religion, especially with the Bible’s account of not deifying the stars, sea creatures, etc. Currid is fair: He acknowledges parallels, documents it well but he always argue that the differences are significant, since it is at the level of worldview and theology. The differences are not incidental—the polemical and at times poetical jabs that the Old Testament makes shows these differences are intentional on the part of the writers of the Bible. Much of the book focuses it’s case on Genesis and Exodus, a familiar territory to the author’s area of expertise. I wished we could have seen more of Currid’s analysis of polemical theology with other parts of the Old Testament. One chapter stands out: Currid has an excellent study on the rod of Moses that is a good demonstration of what lexical word studies and the proper use of Ancient Near East data looks like: After noting that Moses’ rod was more of a typical rod versus the significance of the rod of the Egyptian Magicians, Currid shows how there is a polemical “smack” against the Egyptian’s religious worldview at play. Currid note how the Bible says it’s Moses “rod” that swallows the Egyptian rod rather than saying it is a “snake,” thus retaining the polemical force. I think this book is helpful in light of what Peter Enns, Walton, Longman III and Waltke has to say. I highly recommend this book. NOTE: This book was provided to me free by Net Galley and Crossway without any obligation for a positive review. All opinions offered above are mine unless otherwise stated or implied. a. Covenants were not given in a vacuum that is in the absence of other covenants. b. The beauty of Christianity is the coherence of the multifaceted aspect of Christian theology. c. Although not exhaustive, the ramification of Biblical Covenant in relations to other aspects of Christianity is explored here. a. Hermeneutics concerns the rule and method of interpretation in general and the Bible in particular. 1. Covenants are the thread that goes through the entire Bible. 2. An understanding of the Covenants allow fuller contextual background in making sense of the passages. a. How does God’s promise in the Covenants illuminate this text? b. Does the passage reveal God’s covenantal blessings and curses taking place? c. What is God’s Covenantal requirement here in this passage? 1. How one properly understand the Covenants is the result of proper hermeneutics. 2. Understanding the Covenants begin with the basic hermeneutical principles used in beginning to interpret any passage of Scripture. 3. Historical-Grammatical approach still applies to passages that discuss about Biblical Covenants. a. Apologetics is the art and science of defending the Christian faith as true and refuting error contrary to the faith. 1. There are Covenantal promises given which have been fulfilled. 2. There is an evidential value to these Covenantal promises that have been “prophesied” and “fulfilled”. a. Example: Jesus Christ is the Messiah in light of the promise of the Davidic Covenant. b. Example: Uniformity of Nature such as set days, months and season is accounted for within the Christian worldview because of the Noahic Covenant (Genesis 8:22). 1. Future Covenantal promises will be fulfilled because the Word of God is true. 2. The truthfulness of the Word of God is the domain of apologetics. a. Soteriology is the area of theology pertaining to Salvation. 1. Details of Salvation is slowly revealed in the Covenants. 2. The fullest expression of Soteriology in the Covenants is found in the New Covenant. 1. Any proper assessment of the relationship between the Mosaic Covenant to the Abrahamic Covenant must take into account Scripture’s clear testimony of salvation by grace alone through faith alone in Christ alone (Romans 3:27-4:25; Galatians 3). 2. In light of progressive revelation, New Testament understanding of soteriology gives us a fuller perspective of one of the ways that Gentiles has been blessed through the promise found in the Abrahamic Covenant (cf. Romans 1:16). a. This is the area of theology that pertains to the doctrine of Israel. 1. God is a Covenant keeping God who does what He promise. 2. Biblical Covenants proves that God still has a place for Israel in the future. 1. Outside the passages mentioning the Covenants, what does the data of Scripture shows concerning the truth of the promises God covenantally made to Israel? a. Eschatology is the area of theology that pertains to last things and end times. 1. What are the Covenantal promise of God and concepts from the Covenant that will be fulfilled eschatologically? 2. In light of the Biblical Covenants, does Israel as a nation have a role in the future? Can a Bible-centered eschatology provide any further insight as to when certain Covenantal promises be fulfilled? a. Sanctification is the initial act of God and the progressive work of God of setting believers apart for Him. Believers can be sanctified in their hearts and obey God’s law because the New Covenant has promised God’s law written in their hearts (Jeremiah 31:31). Fulfilling God’s Covenantal requirement can only be possible because of God’s sanctification of believers. a. The fame of God. 1. Worship- All the great truths about God’s Covenants should lead believers to worship God even more deeply! a. Give glory to God for the revelation of His Covenants! b. Give glory to God for what His Covenants promises! c. Give glory to God for the great and deep truths of the inter-relationship of the Covenants! d. Give glory to God for how majestically wise He is, to have the Covenants be tied in inter-relationship with other aspects of Christian theology! e. Give glory to God for how majestically wise He is, to have the Covenants bear implications for the Christian life! f. Give glory to God for how majestically wise He is, to have the Covenants bear implications for Christian thought! g. Give glory to God for the beauty of the coherence of the Covenants and other aspects of theology! The beauty of the great design He has in the intricate inter-relationship and implications of Covenantal truths with other spheres of study! a. Because as part of the Word of God, the Word of God by design gives hope (Romans 15:4)! b. Because God has given His promise! c. Because God is Covenantally faithful! 1. No matter what the requirements might be in each respective covenant, “Whether, then, you eat or drink or whatever you do, do all to the glory of God” (1st Corinthians 10:31). 3. Studying the Covenants itself, no matter how trivial, boring and unimportant some non-Christians and even Christians might think it is, is totally relevant if it glorifies God since all we do should glorify God! Glorifying God is also relevant!